Individual defending. 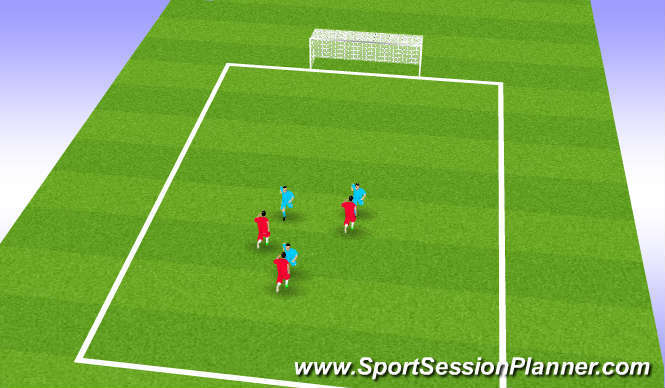 Red tries to beat defender and shoot at goal. Blue try to get beyond red. Red working on pressure support balance. 1, 2 and 3. Blue has ball, blue black out to prevent ball being played to red&apos;s in effect one pressure one drop. Moving on to balls beingplayed through middle channel. 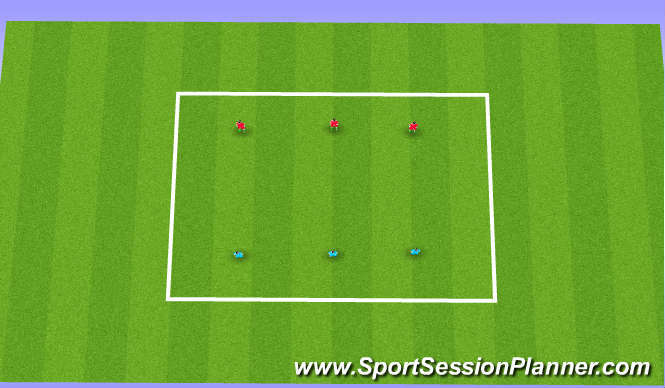 Session 4 - Game between two penalty areas emphasising defendingfrom front the midfield, into back 4. Individua; - angleof approach etc. 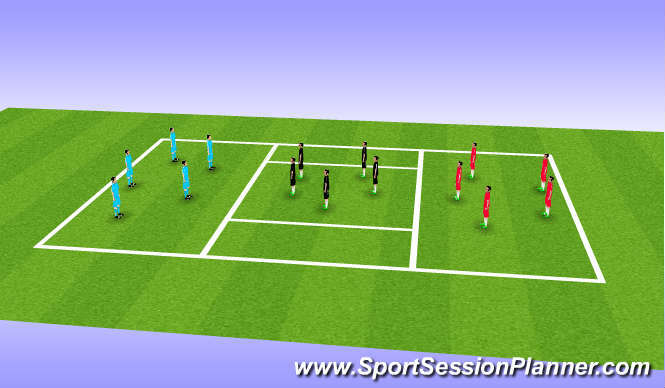 groups of 3 pressure, support balance then recovery runs all in isolation. when & where re individual pressure, recovery runs etc. high tempo. low tempo. aerobic, anaerobic,running. All players displayed good motivation. Practice one worked well. Practicetwo quickly lost concentration. Pracrice Three achived moderate sucess.